Ghost to Falco have been shaping and re-shaping their experimental psych/prog rock sound in Portland since 2001, under the guiding hand of Eric Crespo. Friday night at Bunk Bar, the band will release their fourth album Soft Shield through Itialian based Fooltribe Records. GTF will be joined by the brilliant experimental popsters Aan, whose February release Amor Ad Nauseum was featured as the Deli Portland's last Album of the Month (view our current Album of the Month, Polyester Itch by Hands In here). 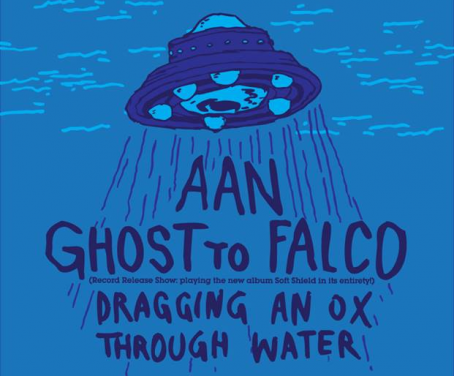 Seattle’s Dragging an Ox through Water open the night at 9pm. The cover is $7 and worth every penny. Check out GTF's video for their first single, 'Born to Win,' off Soft Shield.